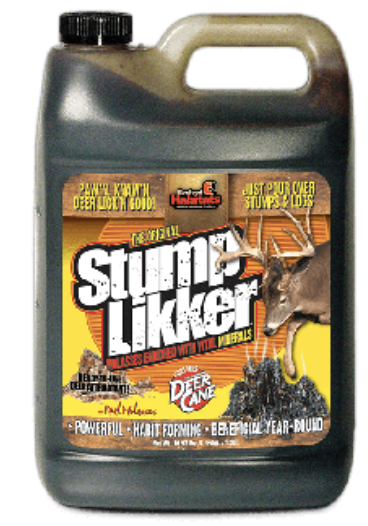 Stump Likker uses the power of molasses to create an irresistible, nutrient-packed mineral site. The formula reacts with moisture to release sodium and calcium vapors mixed with a sweet molasses aroma. Pour it over rotting stumps or logs for optimum results.